TYRONE’S vice-like grip on the Bank of Ireland Dr McKenna Cup remains as stubborn as ever after they negotiated a bumpy opening 20 minutes against Fermanagh before easing to a comfortable victory in Clones on Sunday. This clash, played in front of 5,619 supporters, was the classic game of two halves. In the opening 35 minutes, Fermanagh brought ferocious intensity - but this is January and nobody can play like that for an entire 70 minutes on an unforgiving surface. Both teams finished with 14 men: Fermanagh midfielder Eoin Donnelly was dismissed for a second yellow card offence after just 43 minutes and young Ruairí Brennan received a straight red card on 68 minutes after the U21 All-Ireland winner clashed with Fermanagh’s Ciarán Flaherty right in front of the referee. If Brennan’s red card was academic, Donnelly’s was the game’s turning point. Donnelly has evolved into one of the best midfielders in Ulster, if not the country, and he was hugely influential for the 43 minutes he was on the pitch on Sunday. The Coa clubman picked up his first yellow card of the day after an untidy tangle with Tyrone’s Jonathan Munroe and, when he floored Red Hand substitute Mattie Donnelly with a dangerous high tackle in the middle of the field, he was already making his way to the dug-out before referee Ronan Barry of Down had dipped into his pocket for his yellow and red cards. It was a pity Donnelly wasn’t around for the remaining 27 minutes because some of his fielding and kick-passing were exceptional and Tyrone’s victory margin might have been smaller. 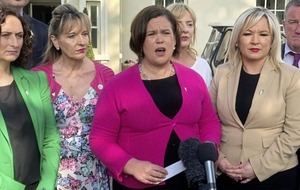 In fairness, though, Tyrone were already beginning to turn the screw before Donnelly was sent-off - but Fermanagh didn’t cope well without their totemic leader. Without Donnelly’s stout resistance and attacking thrusts, Tyrone annihilated Fermanagh in the middle of the field. 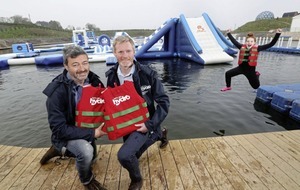 Every kick-out Chris Snow launched seemed to end up in Tyrone hands. 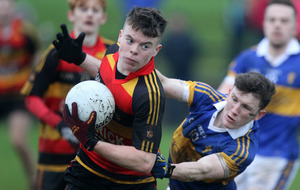 Richie Donnelly, Seán Cavanagh and Darren McCurry each pointed to push the Red Hands five points clear (0-9 to 0-4) after 47 minutes and the Erne men’s misery was complete when the alert Connor McAliskey volleyed the ball home from close range in the 51st minute after Snow could only parry Seán Cavanagh’s floated effort into the Clonoe attacker’s path. 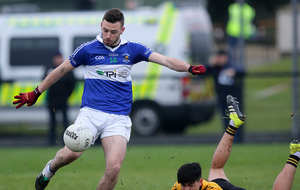 Although Fermanagh’s hopes of reaching the McKenna Cup decider were over long before the final whistle, they managed to out-score their opponents 0-4 to 0-3 in the closing 12 minutes, with Roslea’s Seán Quigley featuring heavily on the score-sheet. And yet, the first-half couldn’t have been any more different from a Fermanagh perspective. From the first whistle, they tackled high up the field, putting Tyrone’s short kick-out strategy under serious pressure and won more turnovers than they could have hoped for. 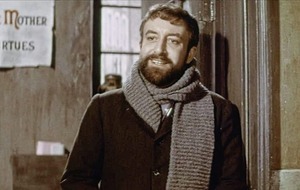 Quigley brought quality and colour to the early proceedings, thumping over two difficult frees and then, with a nimbleness that belied his bustling physique, he slotted over his third of the day with his left foot after just six minutes. As he punched the air, it looked like it was going to be Quigley and Fermanagh’s day, particularly when Tyrone’s forwards couldn’t buy a score. 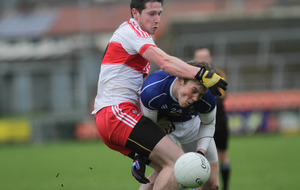 Conor Meyler missed a chance to get the Red Hands off the mark. McAliskey scuffed two placed balls wide, McCurry did likewise with another free before a close-range free from Mark Bradley got Tyrone off the mark after 16 disjointed minutes. From a defensive perspective, Fermanagh couldn’t have been happier as they managed to deny Tyrone’s shooters space. 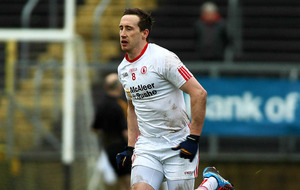 Kieran McGeary was the only Tyrone player to score from open play in a low-scoring first-half (0-4 to 0-4). Last year’s U21 captain pushed forward on the left flank and floated his effort over Fermanagh’s crossbar on nine minutes. Michael Jones’ ceaseless harassment of McCurry was hugely impressive, while Aidan Breen stuck to McAliskey like velcro. Still a relative newcomer to this level, James McMahon, at number six, read the play well in his sweeper’s role and looks a real find for Fermanagh. Eoin Donnelly was imperious in midfield and Quigley was showing typical swagger. But Fermanagh’s problem was that there was nobody to take the scoring burden off their number 14. 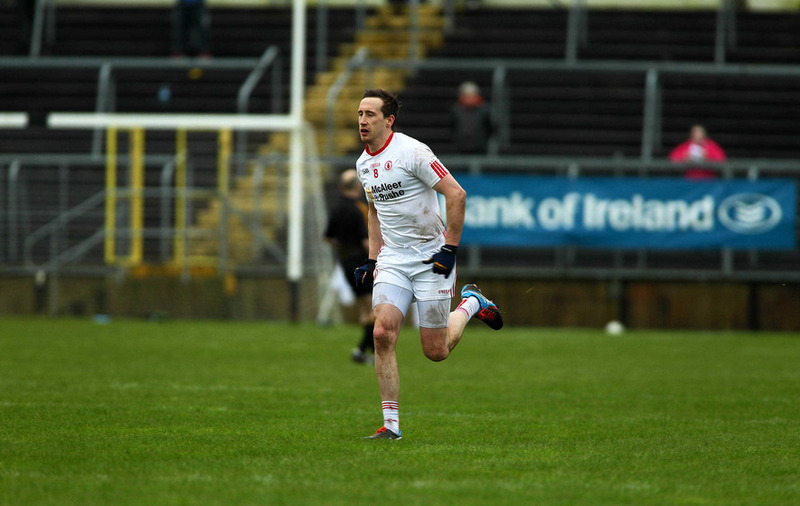 It wasn’t a day for the small, nippy forward and, consequently, Ruairí and Tomás Corrigan were peripheral for the Erne men throughout, thanks to the diligence of Tyrone defenders Jonathan Munroe and Cathal McCarron respectively, as well as the ubiquitous Colm Cavanagh in his deep-lying role. Indeed, apart from Quigley’s sumptuous sixth-minute score, Ciarán Flaherty was the only other Fermanagh player to score from play in the opening 35 minutes. And Quigley played no small part by breaking down Eoin Donnelly’s crossfield ball for Flaherty to measure a fine shot between Tyrone’s posts. Fermanagh made it a feisty contest in the first-half, as they thundered into their opponents with relish. 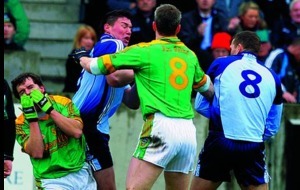 But Fermanagh’s gargantuan efforts were poorly served on the scoreboard. Tyrone hadn’t played well in the opening half and were still level at the break. As the teams emerged for the second-half, it must have been slightly soul-destroying for Erne boss Pete McGrath to witness heavy-hitters Seán Cavanagh, Mattie Donnelly and Ronan McNamee appear for Tyrone. And the trio made a big difference. 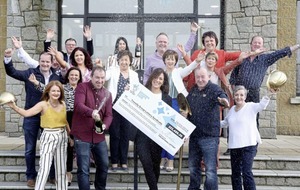 Mattie Donnelly won umpteen breaks from Fermanagh’s kick-outs, while Cavanagh fired over in the 44th minute and it was the Moy man’s looping effort that led to the only goal of the game in the 51st minute. Clearly, the intensity Fermanagh showed in the first-half was unsustainable, particularly after Donnelly’s sending-off. Their numerical disadvantage and the energy they’d expended in the opening 35 minutes was clear to see when Tyrone broke from their own goal-line in the 58th minute and Ronan O’Neill pointed, with Fermanagh unable to lay a glove on the Tyrone attackers. 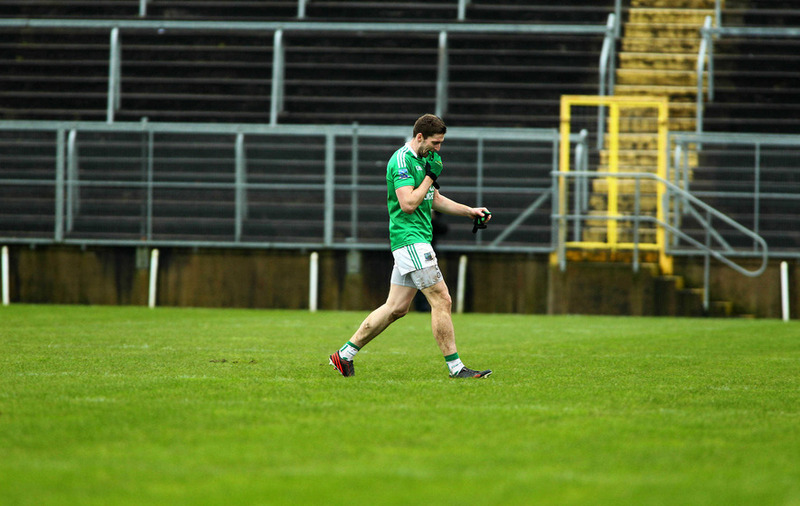 Despite a miserable second-half on Sunday, the McKenna Cup has been invaluable to Fermanagh as they prepare for the thinner air of Division Two. Tyrone and Derry will go head-to-head in Saturday’s decider at the Athletic Grounds (7.30pm). Mickey Harte and Damian Barton will be sick of the sight of one another before the year’s out. Fermanagh: C Snow; M Jones, A Breen, P McGovern; D McCusker, J McMahon, C Jones (0-1); E Donnelly, C Cullen; B Mulrone, C Flaherty (0-1), P McCusker; R Corrigan, S Quigley (0-6, 0-3 frees, 0-1 45), T Corrigan; Subs: N Cassidy for R Corrigan (53), P Cadden for P McGovern (54), E McManus (0-1) for P McCusker (60), D Teague for T Corrigan (60), R Hanna for D McCusker (65); Yellow cards: E Donnelly (22 & 43), P McGovern (24), C Flaherty (68); Red cards: E Donnelly (two yellows). 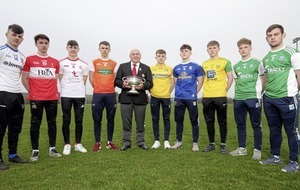 Tyrone: M O’Neill; J Munroe, P Hampsey, C McCarron; N Sludden, R Brennan, K McGeary (0-1); R Donnelly (0-1), C Cavanagh; D Mulgrew, C McCann, C Meyler; D McCurry (0-2), C McAliskey (1-3, 0-3 frees), M Bradley (0-3 frees); Subs: R McNamee for J Munroe (h/t), S Cavanagh (0-1) for D Mulgrew (h/t), M Donnelly for C McCann (h/t), P McNulty for C Meyler (43), B Tierney for K McGeary (50), R O’Neill (0-2, 0-1 free) for C McAliskey (54), M Donnelly (64); Yellow cards: J Munroe (22), D McCurry (24); Red cards: R Brennan (68).